NCCAM; Free Video’s on using Complimentary Medicines, Benefits or Not? 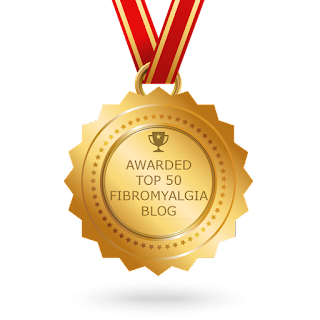 I had a large fibromyalgia flare yesterday; no post. I overdid it after receiving a great career offer! Knowingly, I used my laptop for over four hours in an un-ergonomic position. I was just excited and made a stupid choice. Oh well, I don’t always make the best Well Life choices :(. It was actually great for my brain usage. I went over many concepts learned during my time in University, thereby relearning them. I cut and pasted many great shortcuts to the therapy concepts and very good, free, worksheets. I now have this document with links forever, for any job offer. It sparked my thinking and linking concepts. As I have had post concussion syndrome (PCS) for almost two years it was nice to find out that I could actually, partially, remember these forms of therapy. Now, I just have to find a entry level job where I can use these techniques in a professional format, but without overtaxing my brain. Personal note: I am seeking a part-time job right now. (PCS creates, among other issues, a brain exhaustion that is unique to individual’s; currently, mine exhausts after about three hours). Moving on to today’s post. I received a email from nih.gov as I have a MSW degree, and signed up for emails. In it I found this lecture series on using complimentary and alternative medicine (CAM). I went through most of this series and feel that other than this short video there is not much relevant to those of us surviving with chronic pain. The most important part is towards the end, however, the video is only a bit over eight minutes long. In our pursuit of living Well with pain many of us are informed or research the use of the benefits of various CAM regimes. This is empirical research that although brief is useful. I would skim the other videos as well. They do address other issues that some Peers may also have. I found the video I linked to be useful in research on depression and Prozac versus St. John’s Wort. Many of us have fleeting or ongoing mild to moderate depression. Chronic pain usually goes hand in hand with feeling blue. Please remember that my blog post about lifestyle choices also help with both pain and the blues.